A navy blue wool U.S. Navy flat hat, probably owned by Alfred Bryan. Inside of hat has a leather sweatband, a black lining, and a brown diamond-shaped patch sewn to the crown. A label with the number "7" is affixed to the sweatband. 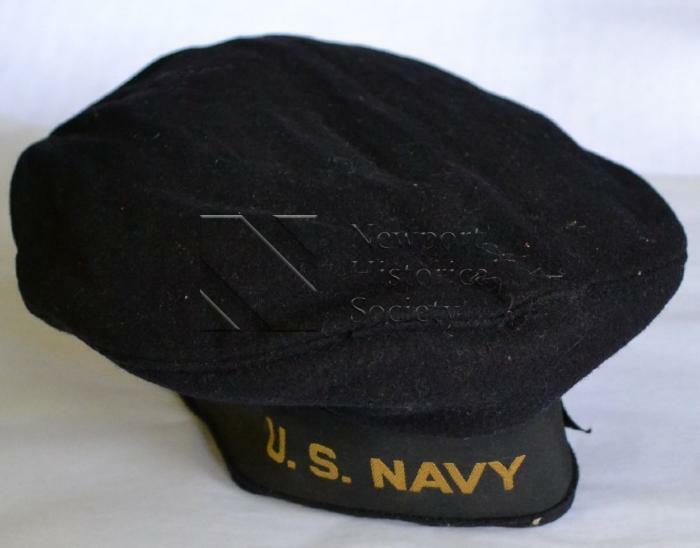 Black and yellow tally on hat reads "U.S. Navy"; ends of tally form a bow at one side.